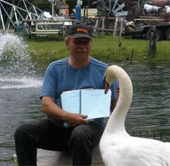 One day, a pair of Mute swans (an introduced species) landed on Lou Maieron’s fish farm in Wellington County. As they were free to fly away at any time, Lou was surprised to get a visit from the federal government charging him with unlawfully keeping a migratory bird under the Migratory Bird Act. Lou had offered to buy the $10 permit, but was concerned that if he did, he would be forced to pay the fee every time a bird landed on his property. Especially in winter months when open water was available and many ducks, geese and other migratory birds visited, some staying till spring. Were those staying around still considered migratory birds? Initially he was accused of breeding and selling swans, a ridiculous charge since Maieron had discovered that both Mute swans were males. By the time the case escalated to the third court, all charges were dropped or stayed. It is estimated the government spent hundreds of thousands of taxpayers’ dollars on this matter of a $300.00 fine. As Lou said, these swans and other migratory birds were free to come and go, he neither had possession or control over them. Judge Norman Douglas agreed stating there are real criminals out there the courts need to deal with. 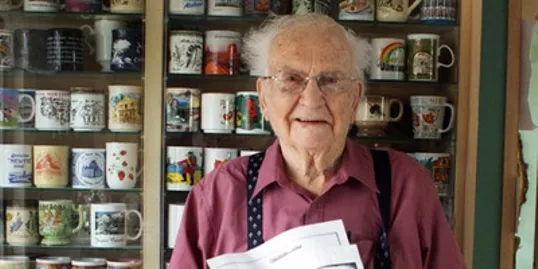 Eighty-eight year old Jim Williams of Beamsville, Ontario, a WWII veteran and a 60-year member of the Lions Club had many passions. He loved to fly, he loved photography, he was a great storyteller and he was always ready to help someone in need. He also ran “Twinkle Tree” Christmas tree farm on his 35 acres. 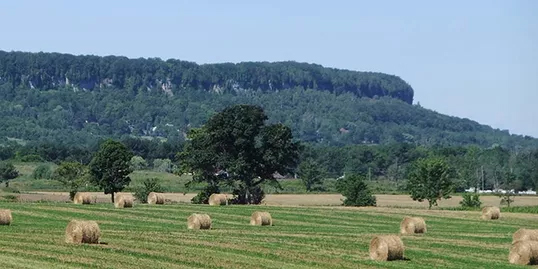 Jim ran a-foul of the law when he was told by a Niagara Escarpment Enforcement officer from the Ministry of Natural Resources that what he had done for 60 years, working his land, was now illegal and he could not spread dirt without a permit. He told Jim that “he was in big trouble” and started demanding all sorts of permits from Jim who was unable to keep his last appointment with the enforcer because he had been admitted to the hospital. Jim passed away before the MNR visit and his land was sold. Now a proposed subdivision is planned for his land. While on vacation, the OSPCA visited the kennel where Sunny Reuter had left her 12 year old Akbash dog, a large, slender rare breed. 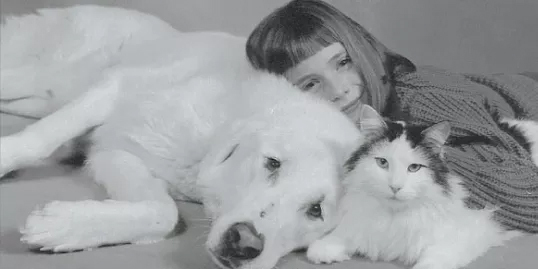 The OSPCA determined that her large dog was an abused 5 year old Great Pyr in pain. Without speaking to her vet who had recently given him a clean bill of health, they euthanized her beloved pet. When she returned home, she was told that she was ‘guilty until proven innocent’ and they refused to answer her questions. It was a nightmare for Sunny. The OSPCA are accountable to no one, have police powers with a mandate to enforce animal welfare. 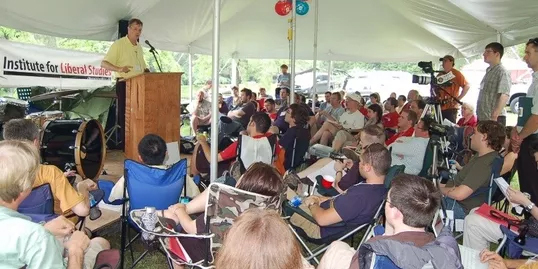 The Jaworski’s, Polish immigrants who escaped from communist Poland in 1984, came to Canada for freedom only to find themselves on the other side of the law, for holding a 2-day Liberty Seminar on their rural property. They ran a-foul of the bylaw by using their agricultural land for this event when it was not zoned for a commercial conference centre. They faced a fine of up to $50,000 if convicted. 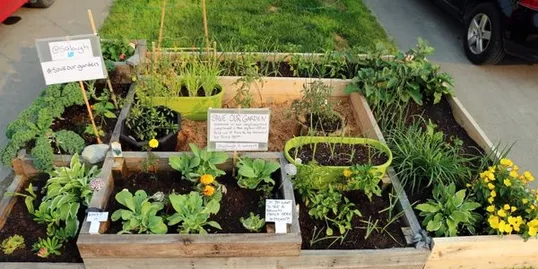 An Ottawa couple built a garden on their private property and in doing so risked fines and harassment from the City of Ottawa. The violation? The wooden boxes around their garden, all located on private property, could trip someone walking on the sidewalk. Source – CTV News Ottawa, CBC News. John Newton and his wife faced the full force of the law when Cambridge building inspectors realized, that despite having conducted a final inspection on the house, the staircase was too narrow. John returned home one day to discover that police, city staff and building inspectors had forcibly entered his house without a warrant, demolished this staircase and left him no way to get to his top floor. The city sent them a bill for $6000. It was the final straw for John and his wife who was undergoing treatment for cancer. The harassment and stress were too much. He was disenchanted by the lack of property rights protection in this country. They sold their house and moved to Costa Rica. Jack Farewell owned a 100 acre piece of land at Long Point, just north of a huge government conservation area. Some of Jacks farm land is being farmed. The lowland part of Jack’s property boarders Big Creek for 4100 feet with mature forest and floodplain. When he purchased the property there was no water on it other than temporary run off. Jack set about creating a wildlife haven for ducks, deer and hundreds of birds. He built wood duck houses, song bird houses and mallard tunnels, a beautiful use for his property. 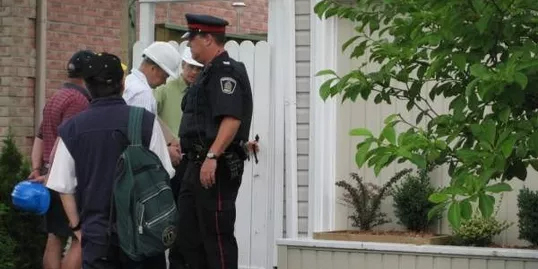 Jack, 80 years old and past founder of the Grimsby Conservation Club, ran afoul of the conservation authorities when they entered his property without permission and threatened the backhoe operator who was working for him, with a fine if didn’t stop. His signs were also knocked to the ground. He was to put everything back to the way it was, a low piece of unusable farm land. Jack fought back, defending himself in court and won. Property rights landed squarely in the heart of Toronto last year. 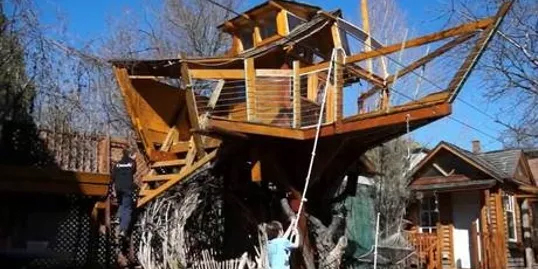 A father in Toronto built a beautiful tree-house for his kids to enjoy. Even though it was built on private property, a City of Toronto bylaw forced the family to tear it down. Even with cross-Canada media attention, nothing could save the tree-house. 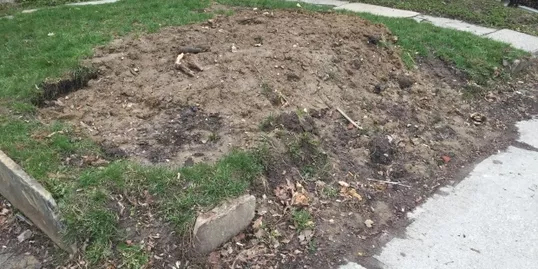 A resident of Toronto returned home to find their front yard torn up by a major Canadian telecommunications company. The company was required to call the municipality before starting the work, but didn’t have to call the property owner. Only after one of Canada’s largest media organizations put pressure on the firm did they offer to pay the bills associated with the repairs. But that didn’t stop the City from charging her extra fees associated with the damages. When the property owner asked the City why she wasn’t given a heads up, the city said such calls are ‘a courtesy and not required’ even if the work is on private property. It is time to change the tone on property rights!